A magnitude 7.5 earthquake struck the remote highlands of Papua New Guinea (PNG) on 26 February 2018, leading to over 122 fatalities, many injuries and widespread damage to infrastructure, food gardens and water sources. For weeks after the earthquake, the only visible evidence that the earthquake had occurred came from aerial surveillance videos and satellite imagery. Aid workers couldn't get to the epicentre, neither could journalists. PNG's National Disaster Centre (NDC) estimated that approximately 270,000 people required assistance across four provinces. 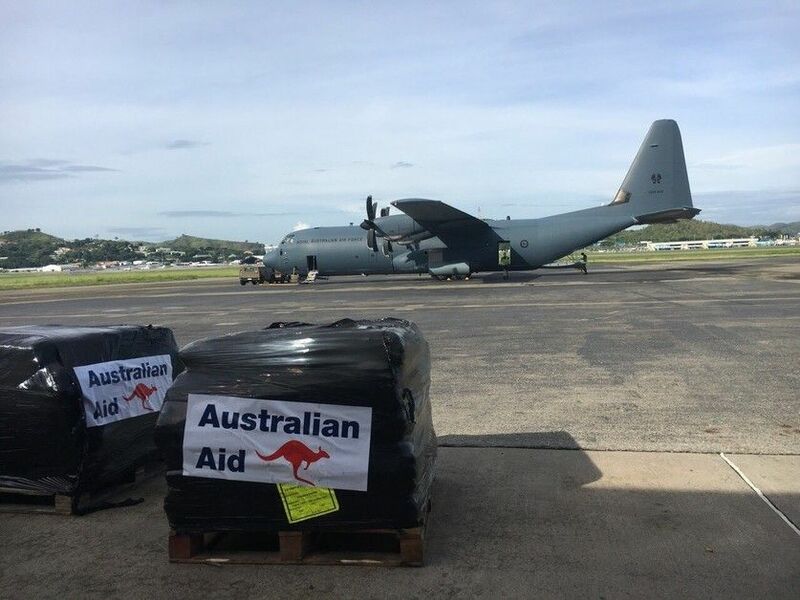 CARE received $1.5 million from the Australian Government, through the Australia Humanitarian Partnership (AHP), to respond and meet the critical needs of vulnerable communities and enhance their resilience to future disasters. According to Anna Bryan, CARE's Program Director in PNG, this was a disaster ‘ likes of which we haven't seen for decades’. “I'm not just referring to the scale of the destruction. There are few places in the world as remote, and inaccessible, as the highlands of Papua New Guinea where the earthquake occurred,” Anna said. With Australian Government funds provided via the AHP, CARE has been able to support the immediate and early recovery needs of over 4,000 people in Huiya and Walagu villages in Hela Province, and Dodomona and Mougulu villages in Western Province. To ensure an effective and coordinated response that best meets the needs of the most vulnerable communities and individuals, CARE coordinated its response planning with Oil Search Foundation, UNICEF, UN Women, UNFPA and IOM, maintaining close links with partner responding agencies, local authorities and community partners.